Innovative approach: Intellectual Ventures’ Nathan Myhrvold. New Delhi: Individual inventors and research organizations here may find their patents turning liquid with the imminent entry of Intellectual Ventures Llc., a controversial company that owns an estimated 20,000 patents and is in the market for as many more as it can lay its hands on. The company has already entered into agreements to buy patents from the Indian Institute of Science, Bangalore, Indian Institute of Technology, Bombay, and is close to signing an agreement with the Council for Scientific and Industrial Research, India’s largest research and development organization, said a person familiar with the developments who did not want to be named. “We’ve entered into agreements with a number of premier research institutions, universities and companies," said P. Ananthakrishnan, director, business development, Intellectual Ventures India. He declined to give more information, saying it would be inappropriate to do so before the formal launch in October. Ananthakrishnan, however, confirmed that Ashok Mishra, director, IIT Bombay, would join Intellectual Ventures. Founded by former Microsoft chief technology officer Nathan Myhrvold, Intellectual Ventures collects patents in the hope that it can license them to other companies. A 17 September report in The Wall Street Journal said Intellectual Ventures (or IV), “has secured payments in the range of $200 million to $400 million from companies, including telecom giant Verizon Communications Inc. and networking gear maker Cisco Systems Inc...."
Patents are typically illiquid. They can be turned into money in one of three ways: the owner licenses or sells them to someone else for a fee; the owner develops a product or service built around the patents; or the owner looks at whether existing products or services have used the technology described in the patent and then threaten litigation. IV offers patent owners a variant of the first option: It buys patents, and because it is out to acquire as much intellectual property as it can, it renders illiquid assets liquid. Still, IV’s strategy borders greenmail, or patent trolling, a term used to describe a firm acquiring patents and using them to extract money from other companies by threatening litigation. 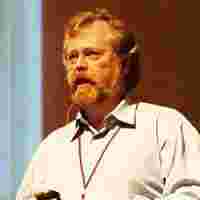 In a 2006 article in Fortune magazine, Myhrvold, who counts Microsoft, Intel, Sony, Apple, eBay, and Google among investors in the company he founded eight years ago, admitted that an article once called him “the most feared man in Silicon Valley". The WSJ article said that in many cases, companies that make “licence payments also become investors" in Myhrvold’s firm. While IV is well known in the US, it isn’t all that well known in India, even among people in the intellectual property, or IP, domain. “I am not familiar with them, but they look like a large intellectual property firm, and that can be both good and bad for a country like India," said Sujith Bhattacharya, a professor of intellectual property trends at the Jawaharlal Nehru University in New Delhi. “Good, because inventors no longer have to spend huge annual amounts in keeping their patents alive, especially when they are not sure if they will ever commercialize it. So, it would encourage inventors to file patents. On the flip side, this could lead to monopolies over inventions." he added. Bhattacharya said some firms, as a strategy, buy smaller patents that related to a primary invention, and make it impossible for anyone else to innovate around it and come up with new products. In 2006, Research in Motion Ltd, makers of the Blackberry mobile-email system, reached a $612 million out-of-court settlement with NTP Inc., a Virginia-based patent holding company that held crucial patents related to wireless email. NTP doesn’t manufacture its own products and is also fighting court battles with Verizon Wireless and AT&T. Though Indian companies and individuals are increasingly applying for patents at Indian and foreign patent offices, experts say they are way too few. A report by Evalueserve, a consulting firm, says at least 80% of the patents filed in India are by foreign firms. The rest come from CSIR and research and development centres of multinational firms.